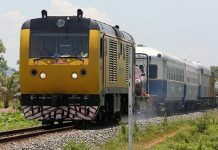 The day after leaked opinion polls showed the opposition apparently gaining momentum against the ruling party, a pro-CPP Facebook page on Monday responded with another previously unpublished survey showing that a majority of the country still believes Cambodia is moving in the right direction. The latter poll, commissioned by the U.S.-funded National Democratic Institute (NDI), says 58 percent of respondents agreed that the country was headed in the right direction, versus 41 percent who thought it was going in the wrong direction. It is one of the only independent political polls carried out in Cambodia since the contested 2013 national election, when the CNRP pressed the CPP to near-defeat in a surprisingly strong showing. Slides from the 2,000-person poll were posted on Monday morning to the Facebook page “Seyha,” which has carried a number of leaks unflattering to the opposition, and quickly picked up by the government-aligned Fresh News. 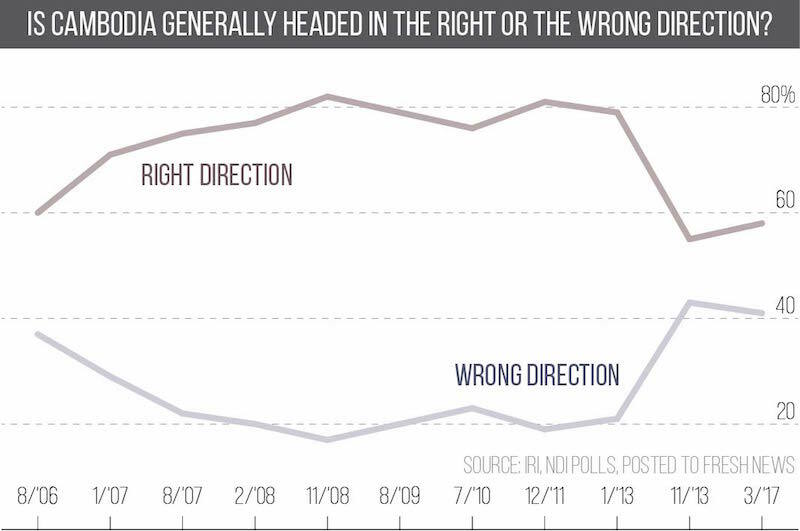 Conducted in March by the Center for Advanced Study (CAS), the NDI survey found the percentage of respondents saying the country was headed in the right direction was up 3 points from the survey’s previous iteration, when it was commissioned by the U.S.-based International Republican Institute in November 2013. But the figure is down from a plateau of optimism that ranged from 71 percent to 82 percent between January 2007 until January 2013. Those results nevertheless seem to paint a rosier picture for the ruling party than an earlier study conducted in May and again in September and October last year, the results of which were leaked to reporters over the weekend via the hacked email of Klang Huot, a CPP district governor for Phnom Penh’s Chroy Changvar. 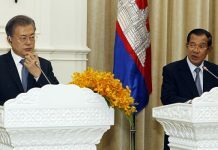 Findings from that survey showed a strong swing in sentiment from the first wave of polling to the second, with a plurality of respondents in September saying they planned to vote for the CNRP in next year’s national elections, favoring former CNRP President Sam Rainsy and current party President Kem Sokha at higher rates than Prime Minister Hun Sen. Though Mr. Huot confirmed that he had participated in a CPP survey and two separate polling agencies said they conducted fieldwork on behalf of Israel-based Shaviv Strategy and Campaigns, which authored the research, Interior Ministry spokesman Khieu Sopheak claimed on Monday that its results were fake and denied any CPP poll. “It’s a fake thing,” he said. “No one did that. Sam Rainsy was lying” by posting the results to his Facebook page, General Sopheak said. Mr. Rainsy responded in an email that he stood by the veracity of the earlier poll. “There is enough evidence that the opinion poll I have posted on my Facebook page is 100 percent real,” he said. Gen. Sopheak also said the NDI poll violated the election law, but refused to elaborate on specific infractions. Khorn Keo Mono, director of the NEC’s communications department, said the body had only banned conducting or publishing polls during the week preceding the June 4 commune elections and voting day itself, not in the months preceding it, suggesting the NDI had not strayed from the law. “If they did it and published it publicly during the time that law was not ban, it’s not illegal,” Mr. Keo Mono said. However, alleged infractions that happened outside of the election or campaign period fell outside of the NEC’s mandate, he said. John Cavanaugh, the country director of NDI, a nonprofit democracy support group based in Washington, did not immediately respond to questions related to Gen. Sopheak’s statements. The CNRP said late last month during campaigning for the June 4 commune elections that the NDI poll was a reason the party was confident of a strong showing in the local-level vote. 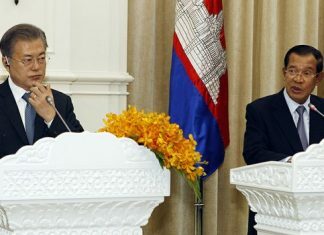 The Interior Ministry blocked NDI from asking some sensitive questions, according to Hean Sokhom, president of CAS Cambodia, which conducted fieldwork on the NDI poll. That included a question about how likely voters were to support the CNRP without Mr. Rainsy at the helm, he said. Gen. Sopheak said the ministry merely “reminded the NGO to correctly implement their bylaws” but was vague about whether that included blocking questions. Mr. Sokhom said his nonprofit institution collected the data—which included responses to roughly 60 questions—and sent it on to the NDI for analysis. He added that results were likely skewed by a substantial number of rural respondents who were too afraid to answer sensitive questions. He also confirmed that CAS had conducted fieldwork last year for Shaviv Strategy and Campaigns’ May 2016 poll, though he had not seen the results of it until they were posted by Mr. Rainsy and remained in the dark on who ultimately funded the research. The consultancy’s CEO, Aron Shaviv, “said not to ask him about the client,” he said. Mr. Sokhom said the large swings in Mr. Shaviv’s results from May to September on questions such as the favorability of the prime minister suggested the second research firm hired by Mr. Shaviv—Indochina Research—may have used different methodology or been rushed. Xavier Depouilly, managing director of Indochina Research in Vietnam and Cambodia, said it was hard to know exactly what was behind the turnaround since his firm had only collected the data, not analyzed it. But he said a number of factors might have been in play, including a larger sample size in the Indochina survey, different statistical treatment, and a genuine change in public mood. “Attitudes and declaration can change over period and this is the reason why it’s important to monitor opinion across a time period,” he wrote in an email.